Team Midwest is back at it again. After winning their regional back in October in Colorado, the team is on the bus headed to Sarnia, Ontario for International Silver Sticks Finals. The team got back together for the first time in three months, last week for a practice and got the chemistry going. The bus departed from Des Moines at 4:30am on Thursday and stopped in coralville for a 7:00am practice and to pick up the rest of the players to head out. 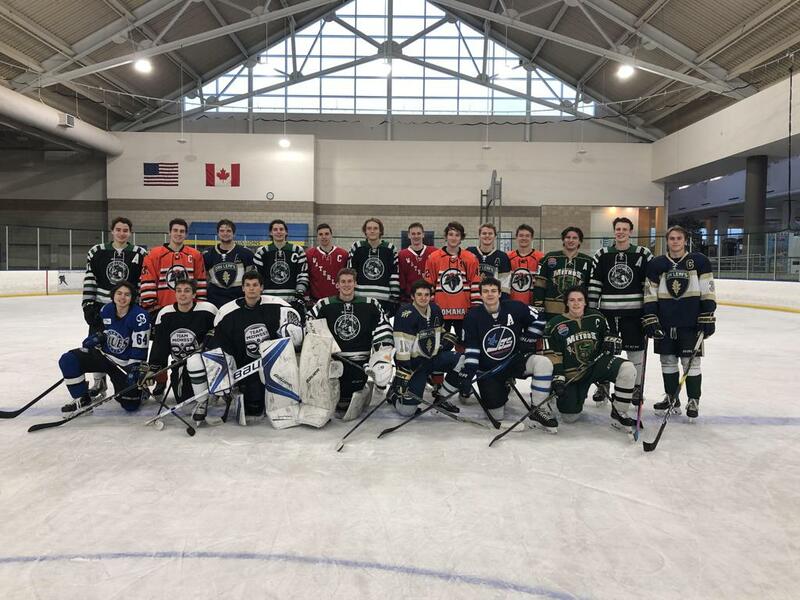 Team Midwest drops the puck on Thursday at 7:45pm est against the 22nd ranked team in the USA, Big Boy Hockey in an exhibition game before the tournament. Tournament play begins on Friday against #44 in Canada Kent Cobras and #9 in USA KV Raiders. Saturday morning presents a great task taking on Canada’s #1 ranked team, the North York Knights. This is a great opportunity to put Midwest hockey on the map. The top 8 teams move on to the quarter finals Saturday night. Two years ago, the team qualified for the international finals before going 0-3. This team is looking for different results and we are excited to watch and see how the team does. You can watch all the games on Facebook u18 Team Midwest Hockey and also follow on Twitter @u18Midwest.